We invite you to join us at this year’s Mistletoe Market held at the Cox Convention Center in Downtown OKC October 11-13, 2018! 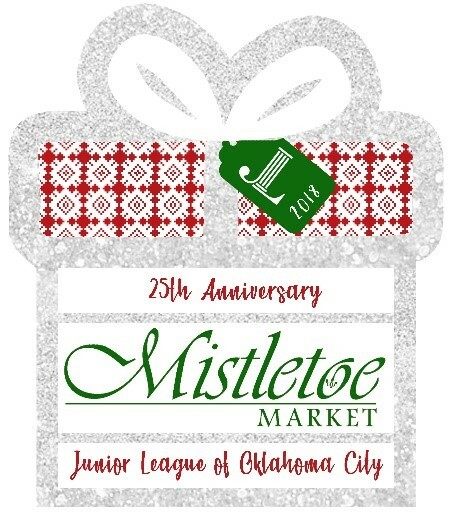 CLICK HERE FOR DETAILS ON MISTLETOE MARKET AND SPECIAL EVENTS. ONLINE TICKET SALES ARE CLOSED - HOWEVER, WE HAVE TICKETS AT THE FRONT DOOR FOR PURCHASE AND HOPE TO SEE YOU THERE! 2018 Mistletoe Market Quota ticket W/late fee is required to be purchased by all Provisional and Active members who have not met the obligation prior to the end of Mistletoe Market. To donate without purchasing tickets, enter designated amount below. This section is for donations only. If purchasing tickets, leave the box below empty. Any amount entered in this box will be charged in addition to your ticket purchases.